Star Wars Toys become the number one toy property in America. Recall Force Friday when retailers launched the Star Wars merchandise early in an effort to create buzz for the film? 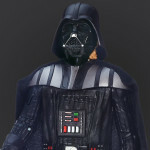 That was the marketing campaign that sparked interest in Star Wars toys and related merchandise. The end results are in and Star Wars toys generated a colossal $700 million in sales revenue in the U.S. 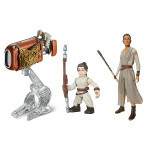 The NPD Group announced that this made Star Wars merchandise the #1 toy property in America. In other words, Star Wars toys were the best-selling toy in America. Disney is most likely pleased with its $4 billion investment in the Star Wars franchise. The fact that Star Wars: The Force Awakens was a huge hit at the box office also contributed to the massive success of the toys. Interestingly, if you combined all of the revenues generated from all of the other movie tie-ins (Avengers, Minions, and Jurassic World), it still wouldn’t be as large as what Star Wars toys managed to generate. On the whole, 2015 was one of the stronger years for the toy industry. According to NPD’s data, overall toy sales rose to $19.4 billion, representing a 6.7% increase, which was one of the strongest performances for toy sales in years. This was largely due in part to Star Wars toy contributions to action figures, vehicles, and other related toys. With the massive success of the Star Wars franchise, will it become one of the hottest toys for christmas 2016? Early in 2016, toy executives have finally decided to release characters based on Rey, the film’s lead female character, and sales of related merchandise grew at a rate three times faster than other The Force Awakens characters. In fact, stores were having trouble keeping them stocked on shelves. The enthusiasm surrounding Star Wars doesn’t seem to be losing steam; moreover, a new Star Wars movie is slated for release later this year. Despite the strong box office sales and plethora of toys associated with the Star Wars franchise, there was only one Star Wars toy among the Top 10 best-selling toys of the year. 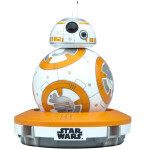 Sphero BB-8, an app-controlled droid, made the Top 8. Other hot selling Star Wars toys were the Kylo Ren Lighsaber and the Millennium Falcon spacecraft models. The best-selling toy of 2015 was the Shopkins toy line (Shopkins 12-Pack Anthropomorphic Household Objects), which was phenomenally popular among both boys and girls. 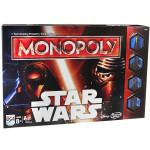 Evergreen properties like Star Wars, Barbie, Hot Wheels, and Ninja Turtles formed the top 10 best selling toys and new properties like Shopkins, Minecraft, and Paw Patrol rounded out the Top 10. The toys in the Top 10 best sellers were very diverse from simple to complex and ranging in prices from under $1 to over $150. Games and puzzles represented the biggest selling category of the year. Other high growth categories included vehicles, building sets, and action figures. The Arts & Crafts and Youth Electronics categories experienced a decrease in popularity. Toy manufacturers certainly benefited from the extra shopping day right before Christmas. Historically, Christmas week represents 8% of the toy industry’s annual sales. Sales in 2015 during this same period were 25% higher than the previous year – implying that shoppers were scrambling for last-minute gifts.